Back with another layout using my Scrapbook Generation Kits. I have gotten through at least four different kits from them this month so watch for more layouts featuring those. 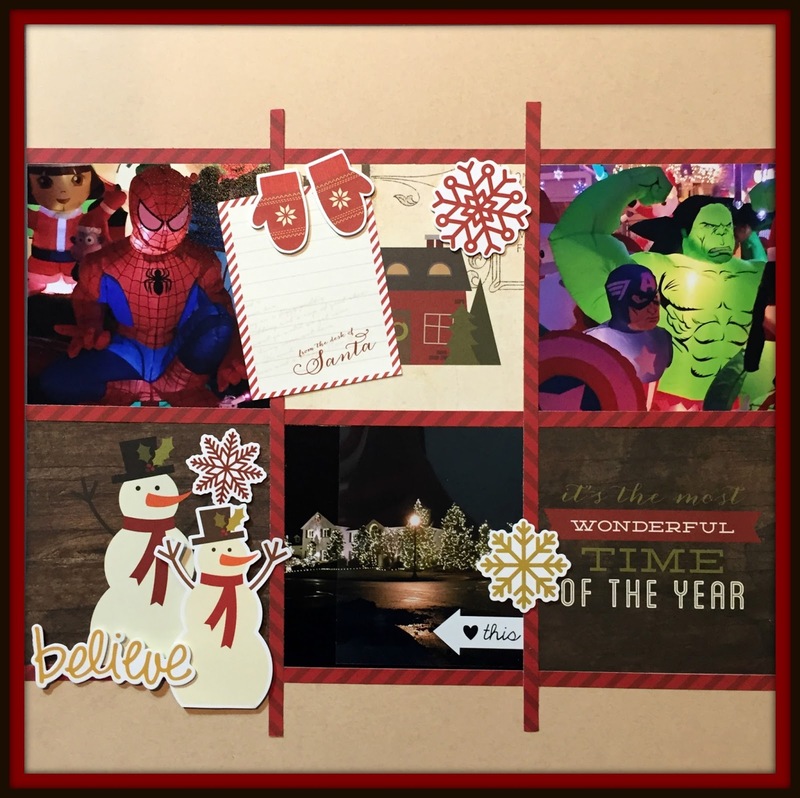 I’ll warn you three of the four are Christmas layouts! This one features Simple Stories DIY Christmas again, and there are only four strips of patterned paper on there…the rest are cut parts and die cuts. So little paper…such a nice result. Thanks of joining me! very sweet! trying to get in the mood for Christmas, this helps!